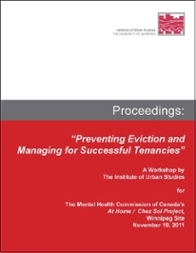 The IUS is conducting ongoing research funded by the Government of Canada’s Homelessness Partnering Strategy, reviewing eviction prevention and housing retention strategies. In the reports below, we review programs undertaking this work. The practical knowledge from these programs has broad application for any agency trying to keep people housed. The report and toolkit presented below are intended to provide an important foundation for housing organizations to consider as they move into this area. 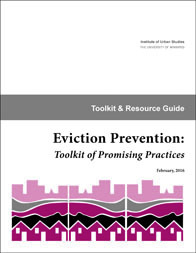 For those organizations already undertaking eviction prevention this work may add to their toolkit. The research provides recommendations on governance structures, policy, protocols, and daily operating procedures to ensure Successful Tenancies for those in need. For the Hard to House"